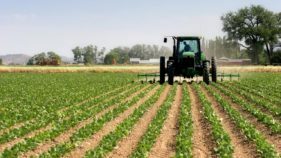 The Labour Force Statistics released by the National Bureau of Statistics in December 2018 was trailed by mixed reactions, sparking heated debates on social media with many dismissing the reports as ‘fictitious’, ‘buffed up’ and ‘tainted’. 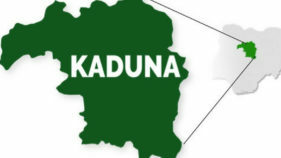 The Labour Statistics Report, which reveals Nigeria’s unemployment and underemployment figures between 2017 (Q4) and 2018 (Q 1 – 3) increased by showed that the rate of unemployment grew from 18.8% to 23.1%. 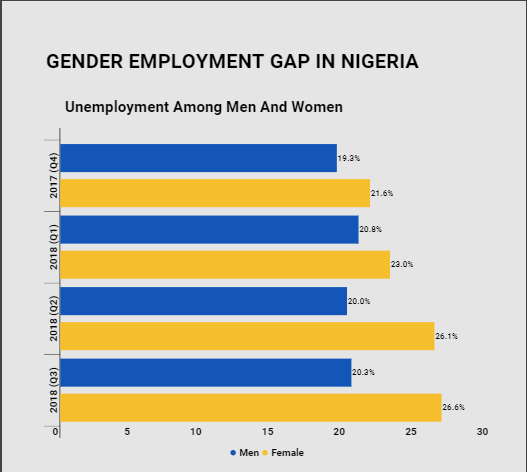 The report also indicates the degree of underemployment and unemployment by gender – amongst men and women. During the quarter Q3 2018, 26.6% of women within the labour force (aged 16-64 active and willing to work) were unemployed. 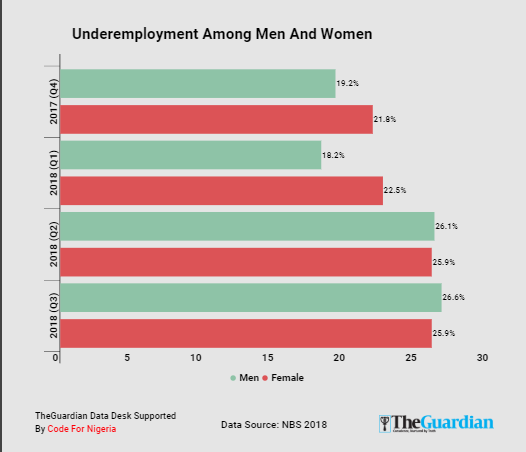 The figure is 6.3 percentage points higher than the unemployment rate for men (20.3%), and 3.5 percentage points higher than the total labour force unemployment rate, which is 23.1%. Within the same period, 20.3% of men in the labour force (aged 16-64 actively and willing to work) were unemployed. This figure is 3.8 percentage points higher than the same period in the year before and 2.8 percentage points lower than the total labour force unemployment rate. Additionally, 15.4% of men in the labour force were underemployed, a 5.1 percentage point decline in underemployment rate for men over the same period last year.